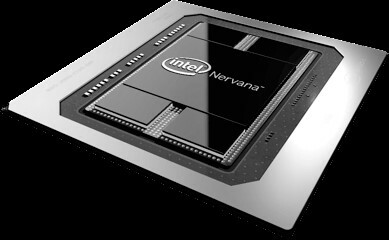 There is a rumor going around that a certain hyperscaler is going to be augmenting its GPU-based machine learning training and will be adopting Intel’s Nervana Neural Network Processor (NNP) for at least some of its workloads. Some of the chattering lends itself to hyperbole, claiming that Facebook, the operator of the world’s largest social network, would do all of its machine learning training on the Nervana NNPs once they are widely deployed and, by implication, would be using Intel accelerators to do inference as well. We are not so sure we believe that, and it would be very hard to verify that. What we know for sure is that Facebook has rearchitected its machine learning infrastructure for both training and inference so it could easily slip different kinds of compute into its infrastructure, as we discussed while attending the Open Compute Project’s Global Summit 2019 last week. One of the innovations that Facebook has created in conjunction with Microsoft and in support of other hyperscalers such as Google, Alibaba, Baidu, and Tencent, is the OCP Acceleration Module, which is a common accelerator form factor that is basically a portable socket (handle included) that plugs into a PCI-Express switch fabric. Chip makers AMD, Graphcore, Habana, Intel, Nvidia, and Xilinx have all agreed to adopt this OAM form factor, and it would not be surprising to see Google do the same thing with its TPU 3.0 machine learning accelerators. The top and bottom of the Intel mezzanine card supporting Facebook’s OCP Accelerator Module specification. Chip on top, PCI-Express fabric interconnect ports on the bottom. Hang also talked a bit about the OAM mezzanine module specification for the future Nervana NNP, which provides some insight into that accelerator. Like other OAM modules, the mezzanine card measures 102 millimeters by 165 millimeters, and in this case there are two variants, one rated for NNPs that consume 200 watts and another that consumes 425 watts. The OAM can take in voltage at 3.3 volts or in a range from 40 volts to 60 volts, depending on the rack power. The OAM setup in the “Emerald Pools” accelerator enclosure of the Facebook “Zion” server can handle up to eight of the NNP-L1000 processors rated at 425 watts for a total maximum power of 3,400 watts, still with passive air cooling with input air as high as 35 degrees Celsius (95 degrees Fahrenheit). Those four ICL SerDes are show in pink in the block diagram. There are three other SerDes that are not used, which presumably could be used to drive more interconnect ports out of the chip for even tighter meshing of the NNPs or a larger network of them. There are also separate circuits for the PCI-Express x16 link to the host, presumably a 4.0 generation link timed to the launch of the “Ice Lake” Xeon SP processors coming later this year but also possibly also supported lower speed PCI-Express 3.0 links that run half as fast. Given that this is all using standard PCI-Express on the system board and QSFP-DD ports, there is nothing about this topology that can’t be applied to other accelerators. And that is the beautiful thing about the open source hardware specifications of the Open Compute Project. Someone could do the same thing with Nvidia Tesla GPU accelerators and create a poor man’s DGX-2 that has 32 GPUs cross linked – admittedly with a lot less bandwidth linking the GPUs (well, one sixth than of the NVSwitch if you used PCI-Express 3.0 x16 ports on the Emerald Pools board) and without memory atomics across those GPUs. But for some neural networks and their frameworks, that may not be as big of a deal as we think. It will be interesting to see these ideas play out in production, that we know for sure. The infrastructure around that processor reminds me of Itanium. Did Itanium also dissipate power at the rate of 400 odd Watts?